Designer of platinum and diamond jewellery beloved of royalty and film stars. This lecture is given by July Rudoe, FSA, the organiser of a previous Cartier exhibition at the British Museum. 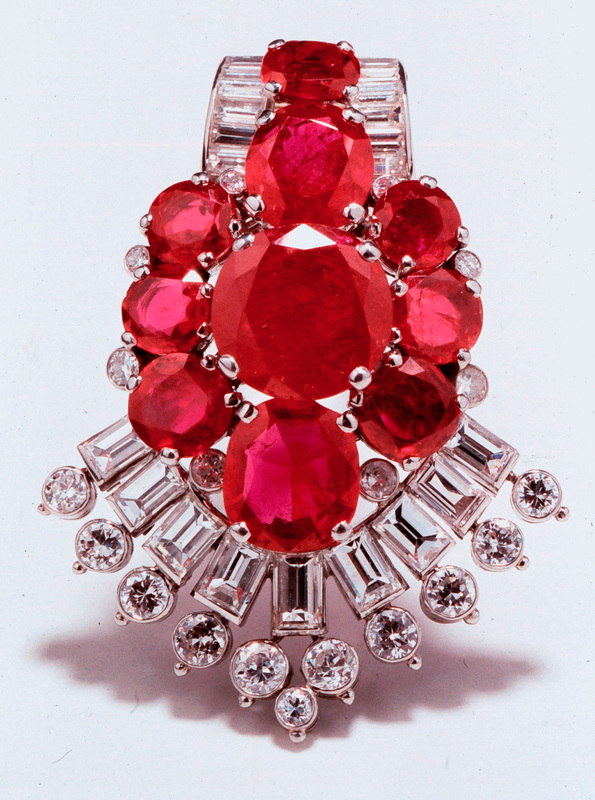 It covers the designer's pioneering diamond and platinum jewellery. These bold geometric designs and their unrivalled craftsmanship appealed to the celebrities of the early 20th century - from royal personages to film stars. It is not necessary to book. Guests and visitors are very welcome at £8 per lecture. Please notify the membership secretary at the door. Since 1974 curator at the BM, specialising in jewellery, and in 19th-20th century decorative arts. Author of Cartier 1900-1939 (BM 1997) and organiser of the Cartier exhibition at the BM, co-author of the Catalogue of the Hull Grundy Gift of Jewellery (BM 1984), contributor to the Catalogue of Micromosaics in the Gilbert Collection (2000). Her latest book, Jewellery in the Age of Victoria, co-authored with Charlotte Gere, was published in 2010 and won the 2011 William Berger Prize for British Art History. She is a Freeman of the Goldsmiths' Company and a Fellow of the Society of Antiquaries. We learn about the Bauhaus, the Weimar Republic's art school between 1929 - 1934.